← Eminem Saved My Life! Now I Write Everything. What the f*ck do you know about any type of curse? Oh, you’re having a bad day? The question of the sane-day comes from one of my followers, Candida Harrow from Vancouver – Canada. “Alex, what was it like being insane?” Well, the question is reasonable and one as soon as I read I really had no idea how to answer, so I sat around all day and thought about it. They only way I can tell you what it was like for me is in a surreal fashion, so please bear with me. Imagine yourself in a car, you are tied and gagged in the passenger seat. In the driver’s seat sits your alter-ego or condition. Now you can look out the window but everything is such a blur is turns your stomach. But as you look out the windscreen there are certain obstacles you must break free from your bounds and take charge of the steering wheel to manoeuvre out-of-the-way of the obstacles or people you love, but sometimes you crash, those are the rules. Now they say I must be sane. Great, when I was insane I looked at sanity as an illness, so does that mean I am mental ill all over again? I am not going to tell you why I am in a bad mood about a writers blog who talks about being depressed is getting more traffic and pushes towards his blog than some other blogs I follow on here. But jealousy doesn’t become me for very long. I’ll get over it; I know I can do what they cannot. That is all writing or entertaining is. Doing something better that someone else can. So give your fingers blisters, don’t sleep, drink plenty of coffee and keep going. Now you may be reading my blog for the first time and I say thank you. But what I have found out from some bloggers now is they perhaps post ten posts, not get the views or traffic, quit and look for another quick get rich quick plan. Isn’t that the reason some of us are here. Well don’t get me wrong, I love the words, I do. But when I was interviews or read articles from writers or celebrities saying “Even if I wasn’t getting paid for this, I would still do it as a job!” Really? I do doubt it, buddy. You are doing it for the same reason I am writing, for a career and more money than less than I have to worry about. Some writers and celebrities are just so artificial and think some of us believe their bullsh*t. Sorry, I am just ranting within this writing blog. As soon as I start with the words I can’t stop until my sane-brain jumps in and says “Okay, time to stop.” Do you have that? But I am going to stop it there, because my fifteen reader which read my work religiously will be getting tired of reading my work. Hey, If I do get sixteen I’m having a f*cking party! Haha! But seriously, thank you for reading. This has been weird and also been a psychotic announcement from The Writer Alexander Kennedy. Wow, Vancouver, Canada got you going on this tirade. Do you know the famous quote in Alice in Wonderland? “But I don’t want to go among mad people,” Alice remarked. This is one of the books suggested by a therapist. I still have yet to read it. You really should; to read it to yourself you see how dark the tale is from the disney picture.I think I shall pick it up again and have a gander. Too many things to read in this insane world, Alex. Maybe I’ll borrow a picture book in the library instead. If only life were that simple, Seeker. But within our words and world we “Seek” pure sanity to the down&out insane. I believe that is how people as you and I are built. Thank you, Alex. I consider this in~sanity as a gift. Nothing down and out about it. Darkside? It has to be of something of benefit to the society. Think about it. Oh and I love Canada so much. (Thanks for the shout out, Candida!) Haha! 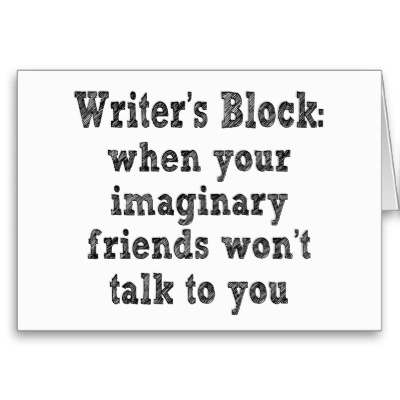 The Psychotic Writers Blog – Reblog! READ & LIKE!!! Great post, Alex! It was very refreshing, and I appreciated the fact that you just wrote what you wanted to write. That you sent how you wanted to say it, even though some people want writers to be “kid friendly” all the time. Reading this was a breath of fresh air tonight, so thank you for posting and sharing with me and with all of us who follow you! And who cares about being Freshly Pressed anyway? You are awesome, Alex and I love reading your blog. That’s what it’s all about right?